Since about mid last year I’ve been thinking about training towards my Mountain Bike Leader Award. I thought I’d post my progress on the blog to see if anyone has any advice, and maybe to help anyone else who’s starting on the same path. From my research it seems that the most common and recognised awards are those offered by the Scottish Mountain Bike Leader’s Association so that’s what I’m going for. I know there are other awards available, such as the Mountain Bike Instructor’s Award scheme, but I wont go into the alternatives here. I’d welcome any feedback on whether they’re worth pursuing though from existing leaders. For those that don’t know there are two main levels of Leader award certified by the Scottish Mountain Bike Leader’s Association: Trail Cycle Leader (TCL) and Mountain Bike Leader (MBL). The main difference between the two is that Trail Cycle Leaders are only allowed to guide groups on trails up to 600m above sea level and they must be low to medium technical difficulty. Mountain Bike Leaders, however, are allowed to guide at any height and trails can require considerable technical difficulty. One thing that limits both awards is that they can’t take the group more than 30 minutes walk from the nearest shelter with communication so this counts out a lot of more remote trails. Your average trail centre though is fine as mostly they’ll be within this distance of houses, buildings or otherwise on the way round. Having spoken to an instructor, taking Glentress as an example, you could at a push guide on the Red route with just the Trail Cycle Leader award assuming that everyone takes the chicken runs, or walks around the big obstacles. This is about the upper limit though, and to be able to do it properly you’d have to go for the Mountain Bike Leader Award. So, how do you get the awards? Well, I’ve discovered that there are a bunch of places that do the training, both during the week and at the weekend, but they can be quite busy so you need to book a couple of months ahead to be sure. I’m heading down to Cumbria to do my initial training because the Scottish venues are all booked out on the weekends I’m available. It’s not too much of a hassle though since Cumbria’s less time to drive than Aviemore from here! The first thing you need to do is register with the Scottish Mountain Bike Leader’s Association which will skin you £45 but gain you a pretty thick manual and your logbook. You can do that here: Register with SMBLA. The logbook you receive makes up the main pre-requisite for the course as you need to have done a certain amount of riding and guiding before you can apply. This was one of the parts I was unsure about because you need to log at least 20 rides of at least 1.5 hours, including a few at 2-3 hours and at least one of 6 hours or more. Now, I’ve covered that easily over the years and luckily the instructor I talked to said that you can back-date no problem over the past year. So, I thought back over the past 12 months, filled out the log, job done. One thing that is also an advantage is if you can say that you did a little guiding on any of these rides. So, for example, you took out a mate who’s never ridden before and led him around the blue run of your local trail, giving a few tips and advice along the way. We’ve all done that once or twice at least. Well, that counts, get it on the log! The next step is gaining your Trail Cycle Leader Award. This involves two parts: a two day training course with a registered trainer, and then a 1 day assessment. So first things first, once you’ve filled out your logbook, sign up for your two days training. Once that’s complete you’ve got to wait at least 30 days before you can sign up for the 1 day assessment, preferably doing a little practise and consolidation in the meantime. After that time though, sign up for your assessment and if all goes well you’re done! Qualified Trail Cycle Leader. I’ve talked to some instructors about the next stage and to go for your Mountain Bike Leader award it takes a little more time. You need to have done a lot more work with groups for example as the assessment is more geared towards leading skills and group management than on simple riding ability. They prefer that candidates have a good bit of leading experience behind them before applying for this stage, hopefully gained by guiding on simpler trails using your Trail Cycle Leader award. This can be hard to obtain but with a little imagination it’s certainly possible. Examples are setting up a cycle group at your work where you take a few people around the hills each weekend for free, or setting up a summer class for the local council where you teach bike skills. 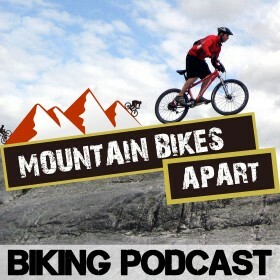 It’s a little of the chicken and the egg scenario as most professional outfits will want instructors to be Mountain Bike Leader qualified before they’ll employ you but to get that qualification you need to have done a fair bit of mountain bike leading. Thousands of people have done it though, so why not us. Anyway, my Trail Cycle Leader course is at the end of the month so I’ll post about it again once that’s done and give some more details. If anyone’s already gone through some of this though I’d love to hear any advice or tips for making it through to Mountain Bike Leader standard so get in touch in the comments. Correct, but we love nice dresses. :)) Sory .